I was given the immense pleasure of spending some time with Ford Theatre Reunion this morning as they performed in-studio on Trivial Thursdays, in promotion of Famous Monsters. They brought along with them a snare drum, a banjo, an accordion, and an electric bass – the two songs they performed (both from this record) translated well to the abridged setup they came with. That said, the record sounds incredible – it’s well produced and clear – and the music it contains is creative and fresh as can be found. The five of them put together sounds that you might imagine from a circus burning to the ground – it lays polka beats beneath strongly distorted guitars, accordions play in coordination with rasping vocals. And as always, Ford Theatre Reunion seeks to tell a story with the record, though it might be less overtly obvious as some of their previous releases. Common throughout is the theme of “monsters,” each song being about a monster in some way or another. 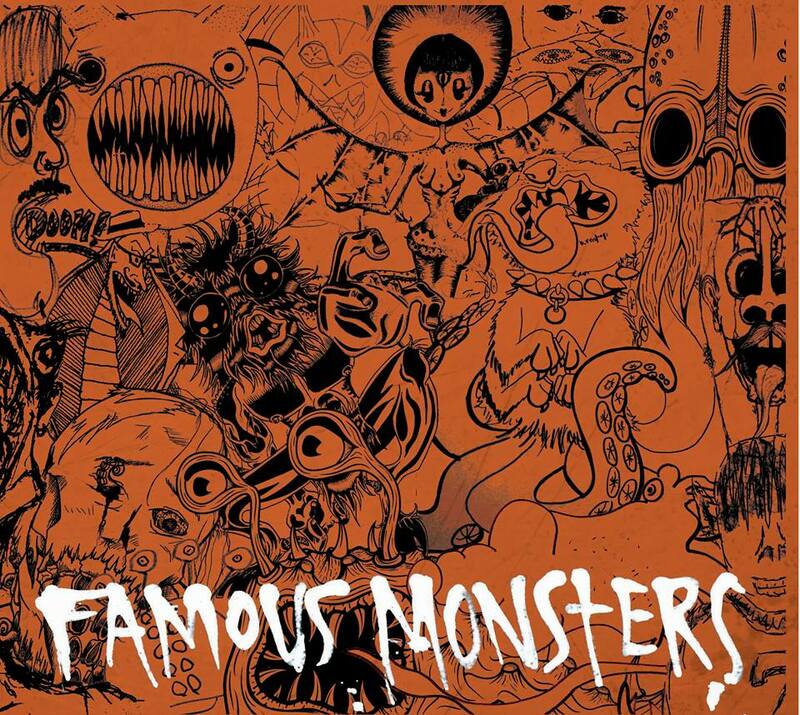 Possibly more interesting still is the album art they’ve come up with; it features drawing of eighty-five monsters from about eighty sources. I’m told that the band set up a “take a monster, leave a monster” box at their merch table as they toured, collecting other people’s drawing of monsters for inclusion in the art. Pretty cool, and so is this entire record – if you’re looking for a great album from an endlessly imaginative band, this is one that will stand out and impress. Tracks I Liked? It’s worth listening through the album as a whole, but… Panzer Klaus!! !, The Ballad of Buffalo Jones!! !, Casting Jacks!, Crooks and Cracks!, Tea + Cakes! !, The Connoisseur! !, The Final Sermon of Pelias Peachpale!, Famous Monsters!! !